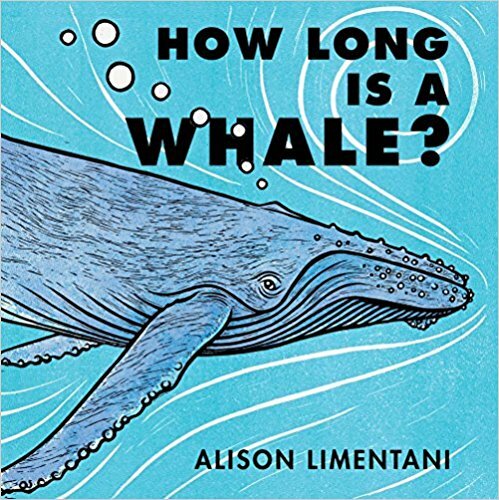 We like to use a mix of fiction and non-fiction measurement read alouds to build students’ background knowledge and vocabulary. 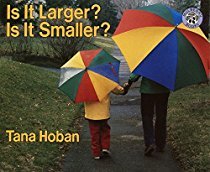 Try using one of the recommended books below to launch a measurement lesson and follow up with a hands on activity to provide opportunities for students to explore measurement concepts in meaningful ways. Once upon a time a king decided to give his wife a bed for her birthday. The queen did not have a bed because at that time beds had not been invented. The Chief Carpenter’s apprentice was ordered to make a bed that was 6 feet long and 3 feet wide. However, the bed he made was much too small. Why was the bed too small for the queen? How could the apprentice solve the problem? 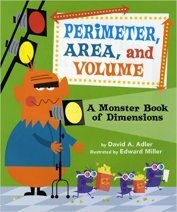 This measurement read aloud provides a fun introduction to the need for standard units of measurement. 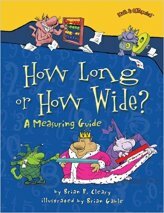 After reading this story to your class set up this math center activity so that students can work in small groups to make a bed according to the king's orders and discover the problems with nonstandard units of measurement. 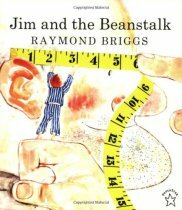 In this amusing variation of the classic children’s story Jim wakes up one day to find a giant beanstalk outside his window. 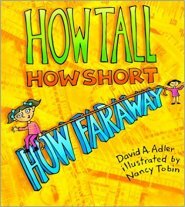 Climbing to the top of the beanstalk, he discovers a castle and meets a somewhat depressed giant in need of glasses for reading, false teeth for chewing, and a wig for his bald head. After offering to take the giant’s measurements Jim makes several trips up and down the beanstalk with gigantic measurements and giant gold pieces to get what the giant needs. 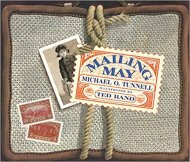 Humorous illustrations, which alternate between black and white spreads and muted watercolors, complement this heartwarming story in which Jim helps the giant regain his zest for life and his appetite for fried-boy sandwiches! Follow up a class read aloud and discussion about the different ways in which Jack measured the giant with this partner activity involving measuring with a tape measure. Lisa has a homework assignment to measure something in as many ways as she can. “Use your imagination!” says the teacher. Lisa chooses her dog Penny and uses both standard and non-standard units, including inches, pounds, cotton swabs, and dog biscuits. 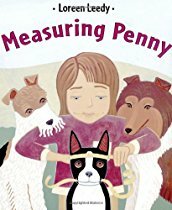 She measures the length of Penny’s tail, the width of her paw, how much she eats, how high she jumps, how much time it takes to care for her, and much more! 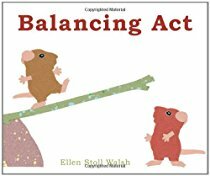 Captioned pictures, including many simple visual comparisons, add to this measurement read aloud and a double page spread showing the homework assignment upon which the book’s storyline is based will have students wanting to try it out themselves. 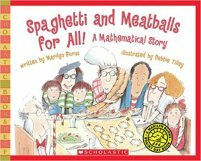 A fun story for K-2 classrooms that makes a great introduction to a homework assignment, or class activity, involving measuring with different units. 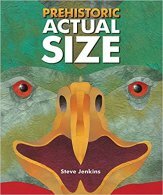 In this colorful, oversized book a wide range of animals, from tiny to huge, are revealed in life size. Just how big is the world’s largest spider? Can you imagine an eye that is bigger than your head? 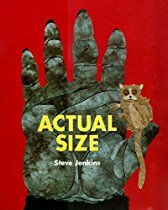 This book makes an engaging introduction to the idea of relative size as young students enjoy comparing themselves to the illustrated animals to get a sense of how big or how small they are. After reading, have students work in pairs to mark and label some of the different animal measurements using various measuring tools (rulers, tape measures, yardsticks, trundle wheels). We’ve done this activity outside with chalk in warm weather and in a hallway using balls of string during winter. Extension activities can include measurement comparisons (e.g. Show the difference in length between the giant anteater and the saltwater crocodile). 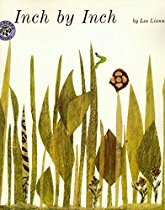 This measurement read aloud tells the story of a green inchworm who is proud of his skill at measuring anything – a robin’s tail, a flamingo’s neck, a toucan’s beak and a heron’s legs. Then one day a nightingale threatens to eat him if he cannot measure his song. What will the inchworm do? Young children enjoy the inchworm’s solution and delight in finding the inchworm on every page. 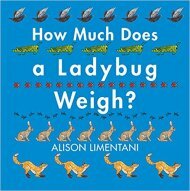 After reading this Caldecott Honor book aloud have students use inchworm manipulatives, or one inch square tiles, to explore measuring objects in the classroom to the nearest inch.